Description Quarterly internal Pullman magazine for all employees. Has an article about a series of conferences held throughout the country for car service employees titled "Courtesy, Good Service Get Top Attention at Service Conferences." 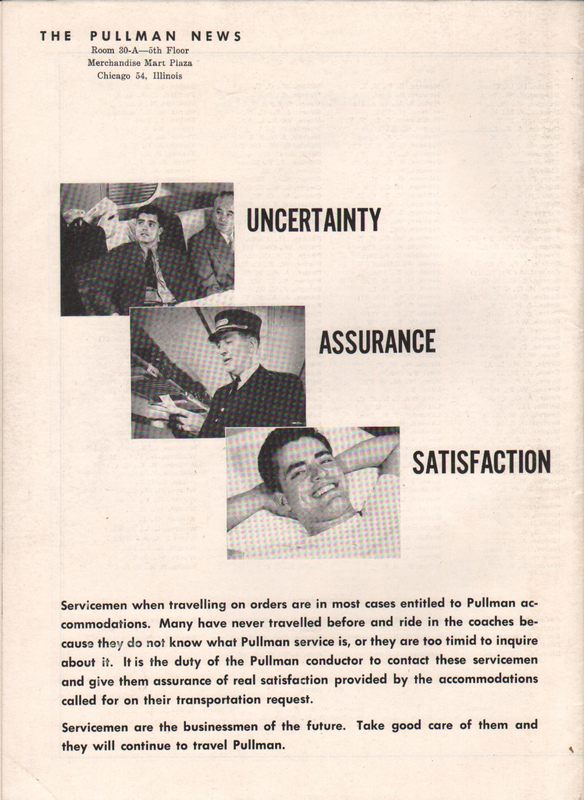 Includes a two page "picture talk" from Pullman Vice President of Operations, George W. Bohannon on "Acts of Service." Uses picture from a filmstrip presented at the Service Conferences. 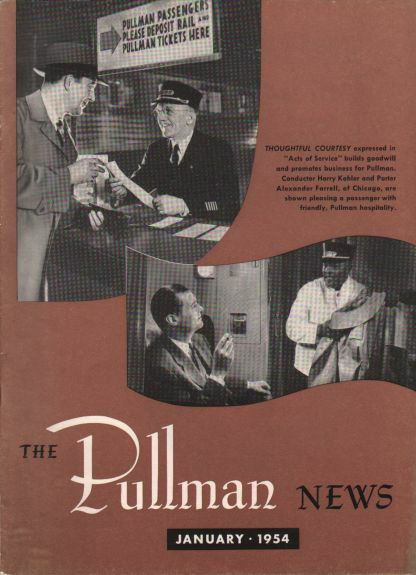 Another two page ad asking all "Let's all PULL business TO PULLMAN in 1954.